Blogging Mistletoe – ’tis the season and all that! It’s planting time. Buying time is well and truly over unless you are not to fussed about what you’ll be displaying in the spring. On occasion I am one of those who buys up every cheap packet I can find and having mixed them all in a bucket plant out blocks of unknown mixes to bring pockets of colour bowling forward in the dim light of early spring. The last few weeks my inbox, Facebook pages and snail-mail box have been full of catalogues filled with monster discounts on spring bulb-age. Tempting. Not surprisingly really because although we’ve had a ridiculously mild autumn so far making, we are forgetting winter, and spring, is on the way and there are jobs to be done. It really is time to be getting any spring bulbs in the ground, giving them plenty of time to put out roots and get established before they shoot from the ground next year. I’ve recently come across quotes from Christopher Lloyd et al about ‘the perfect (bulb) planting time is when you feel like it‘ is all well and good but some bulbs just need a bit more thought. Tulips. Usually planted a bit later (November/December) than other bulbs this is not whim but a precaution. 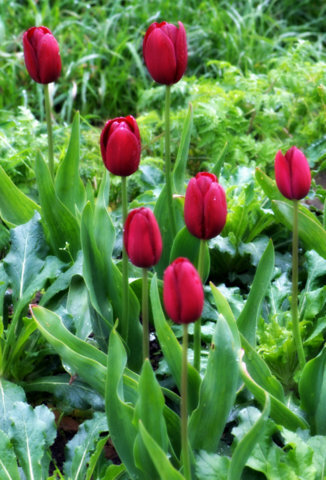 Tulips are prone to be temperamental if you don’t know a thing or two about them. 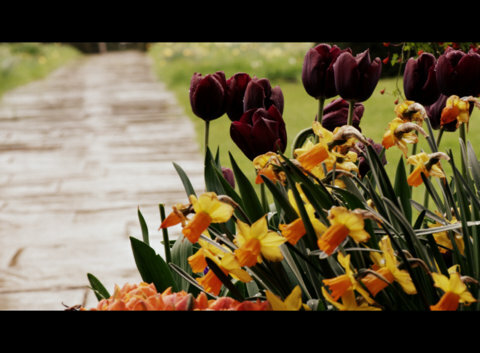 They start rooting action later than other bulbs such as narcissus (daffs). ‘So what?’ I hear you ask. Well, no roots means they are not taking up water, so if we have a soggy autumn, the Tulip bulbs sit in soggy soil. One thing almost ALL bulbs hate is a touch of the soggies. So later planting for tulips means they are less likely to have to sit about in the damp ground before they get moving with root growth. Another feature is the fungus Tulip Fire. Or to give it it’s latin name Botrytis tulipae. 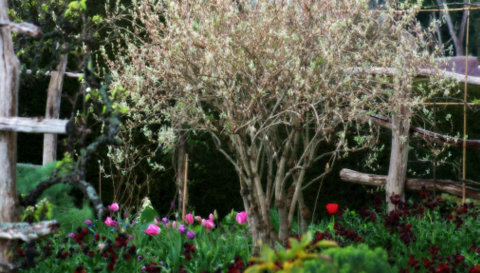 By planting later, after a good frost or three has had a chance to kill off spores in the soil, and burying bulbs deep they have a better chance not to be infected. Planting late is a traditional method of preventing disease. How deep?. Typical advice is double the bulb depth (approx 10cm/4 inches), and if you will be treating them as annuals then this works well. If you want them to last a bit longer and be less prone to pests and diseases then plant deeper. Sarah Raven advocates 25cm (10inches) others I have read up to 35cm (14inches). I plant a spit (spade) depth which is about 20cm (9inches). So if you haven’t already planted, there is still time! Possible suppliers at this late stage?